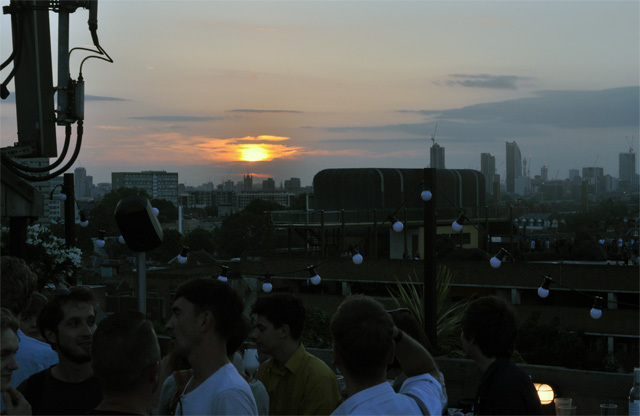 The weather is already proving to be a scorcher here in London and summer has only just begun. You won't hear me complaining, especially with all of these outdoor events lined up for a big summer in the city. 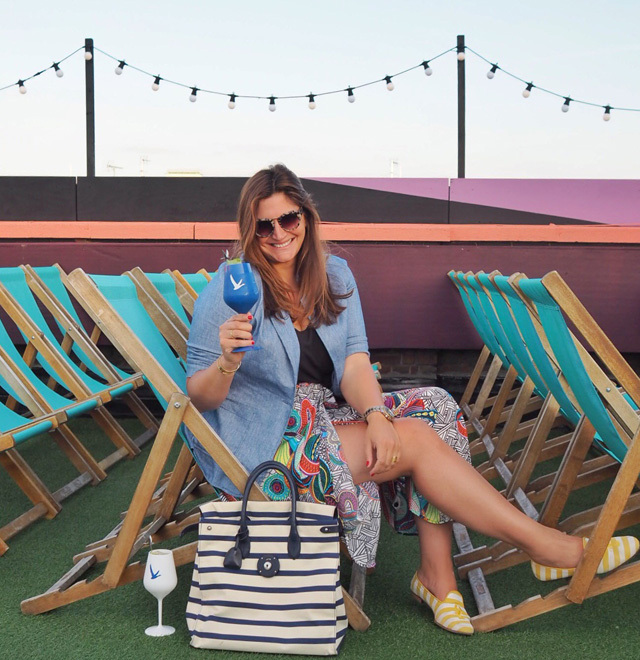 I'm going to give you, now, your first "add to the calendar and book fast" event schedule and it's all to do with rooftops, openair theater spaces and Grey Goose Le Grand Fizz cocktails. Interested? Thought you might be. 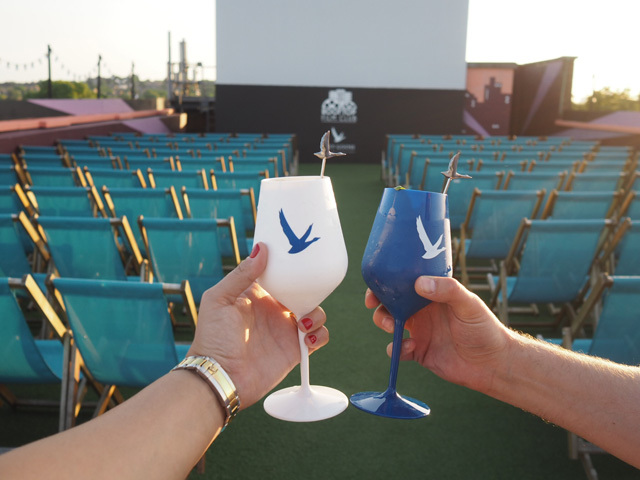 This summer, Grey Goose have teamed up with the Rooftop Film Club to bring you a cinema experience like you've never had before, one that pairs films and delicious cocktails together in the most fabulous of circumstances. 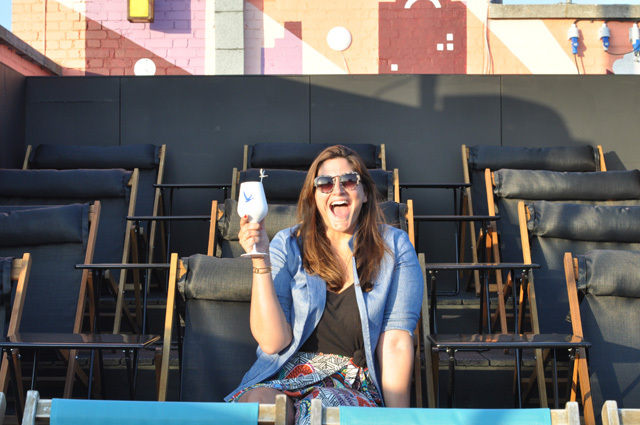 This is a cinema in the sky, with stunning views of the London skyline at sunset. As the sun goes down, viewers take to their seats to enjoy the movie, with earphones to minimise the sounds of the city and a bucket of popcorn to keep the peckishness at bay. Now for the Grey Goose element. It's all about customization! 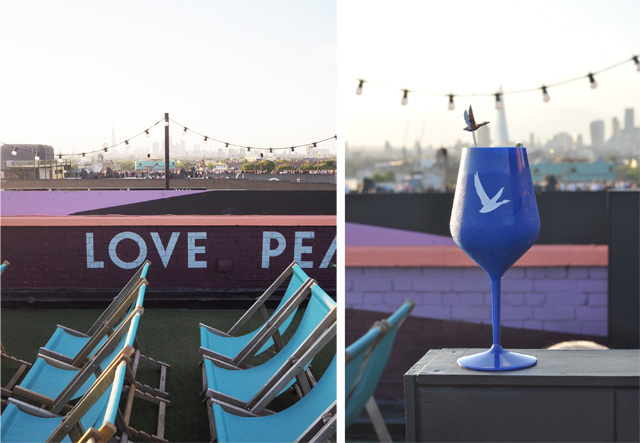 On our first night at the film club, located on the roof top of the Bussey Building in Peckham, we were able to tailor make our dream cocktails with the Grey Goose bartenders. 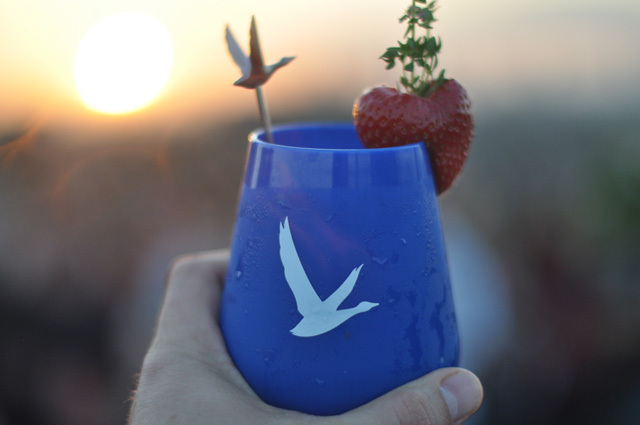 They picked from fresh ingredients to mix either a traditional Grey Goose Le Grand Fizz or one with a more personal slant - say with strawberries or mint. The bar is open throughout the theater experience and the whole activity became a group effort towards the end of the night, with people gathering around and reeling off what works well together. And the Grey Goose bartenders, naturally, really are entertainers. As well as creating dreamy cocktails for all, they also gave the full experience of stepping into a cocktail bar, only this bar had zero walls and no roof to speak of. Can you think of anything better on a balmy evening in London? We went straight home and booked in for a few more nights. Yes, it is that good. Here's a hint for booking, however. There are categories of seats, but it is a first come first serve basis for rows once you are out there. That is of course unless you've booked a love seat. The love seats are sort of swing couches in the back that are made for two and come with a table to rest your cocktail and popcorn upon. Only book a love seat if you don't mind getting up close and personal with your partner in crime. It's cozy. However, no matter where you book a seat, you're in for a night of beautiful vistas and magical cinematic moments. My only problem, at the beginning, was finding the balance between admiring the two. It's hard to concentrate on a big screen when such a beautiful city is laid out before you. 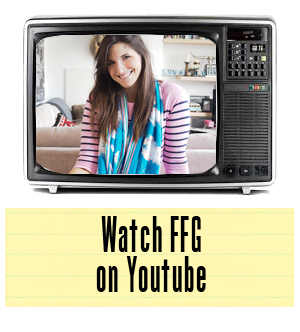 But, when La La Land is on the screen, you can bet I found my focus very quickly indeed! 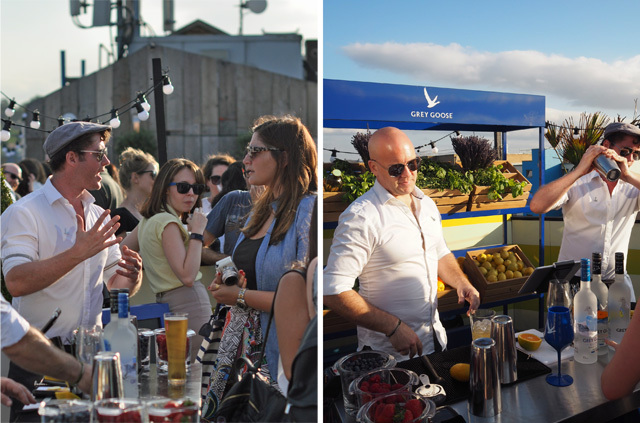 There are also plenty of food choices available on the rooftop, should you desire something more substantial during your cinema experience. Basically, this is a night every Londoner and visitor to this great city should experience at least once. Good thing it goes on all summer. This post is sponsored by Grey Goose.